This donabe is scheduled to be available on toiro's website next week. Right now, the new shipment, including this donabe, is on its way from Iga, Japan, to Los Angeles. Whaaaat?! It's a microwavable donabe steam-roaster. Cooking in microwave? If it hadn't been from Nagatani-en, I probably wouldn't have taken it seriously. I had never used microwave for cooking. Microwave had been for re-heating leftover stuff and I often found the food heated unevenly. To jump to the conclusion, this microwavable donabe steam-baker totally blew me away when I used it for the first time, and I've become a big fan ever since. This cute donabe comes with a heating grate inside. 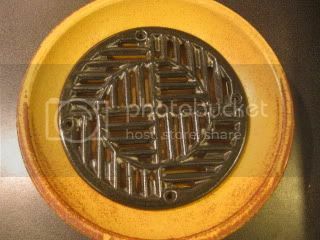 Once heated in the microwave, the black glaze of the grate heats up to about 600F degrees! So, it quickly roasts ingredient(s) inside of the donabe, while the sealed donabe gives the nice steaming-effect. Because only the grate gets so high in temperature, when cooking meat or fish, grease drippings don't burn in the bottom of the donabe. This donabe also gives a healthy cooking option, because you can cook without oil. 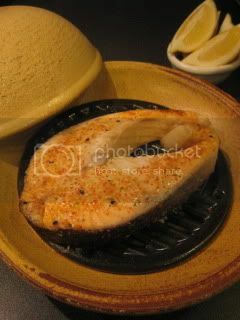 For my very first try, I simply seasoned a steak-cut salmon with salt and shichimi pepper, then just put it in the donabe (on the grate). 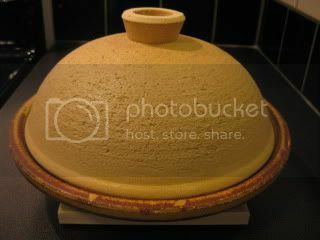 For the good steaming-effect, the lid (inside) was soaked in water for 1 minute and drained. 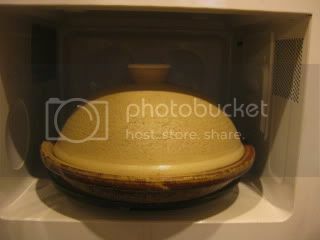 Donabe was covered and just microwaved for 6.5 minutes. 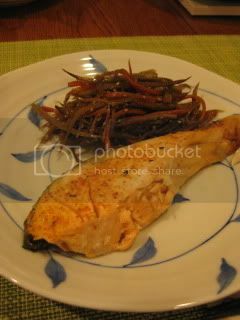 Steam-roasted salmon steak was ready. It smelled really nice. I served it with a simple condiment of lemon wedges. The result was AMAZING!!! 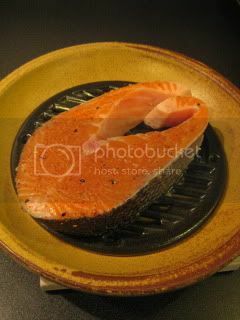 Salmon was not only cooked evenly, but also it came out so tender and juicy. Any excess fat was naturally drained through the grate to the bottom of the donabe. I couldn't believe such a "real dish" with complete flavor could be made in a microwave. That's the magic of authentic Iga-yaki donabe. This microwavable donabe steam-roaster has become my new toy and I've been enjoying doing test-kitchen on different dishes past few days. I'm very, very excited. I can't wait to officially introduce it in our online shop. It will be next week. Until then, thank you for your kind patience!